Author says his new edition focuses more on spontaneous remission of illness, drug addiction, and unwanted behaviors. More help for parents with troubled kids. NEW YORK, NEW YORK, USA, April 3, 2019 /EINPresswire.com/ -- “I am not interested in sensationalizing the book," said Mark Davis, Medical Anthropologist and author of "The Little Mind" published in 2017. “I am just pleased parents got help getting kids and others off drugs and shutting off that desire.” But readers of the first edition report continuous psychokinetic activity occurring after beginning the book’s exercises. Davis says his new edition of "The Little Mind" explains more about spontaneous remission of disease, cravings, and unwanted behaviors. “We have shown that psi-mindedness can alter negative behavior instantly, ending addiction to foods, drugs, obsessions and many other devices humans use to escape pain and anxiety," said Davis. "Unique psi encounters may occur after repeating certain phrases which target the wants and needs of a part of the human brain that maintains a separate identity. That identity is our childhood persona. It becomes happy and excited and this is often expressed with other manifestations," said Davis. The book asserts that our childhood persona is a part of the brain that remains in firm control of key behaviors, even after puberty, and many of us who have difficulties mastering life are not in control. Davis says he wrote the book to show people how to communicate with this distinctly separate part of the brain that influences wants and needs throughout life. "We do not usually connect or communicate with this part of the brain, which some access partially through hypnosis or dream therapy. However, this brain's daily impact on our lives is enormous," said Davis. The author claims the Little Mind is also capable of interaction and manipulation of certain quantum waves and fields, which explains paranormal or psychokinetic events. "This mind is very old. It has been the primary brain in mammals for almost 55 million years, so it knows a lot," said Davis. "The "Big Mind" or rational, conscious mind we all talk and text with is very new and not as versatile or able." Readers are baffled by the sudden disappearance of unwanted habits, behaviors, and many chronic health conditions. "They want to know why this problem or condition vanished and all I can say is it is the Little Mind," said Davis. The new edition of the book "The Little Mind" provides documentation with hard evidence and case studies about this misunderstood part of the brain. "The Little Mind includes parts of the mid-brain that psychiatrists, scientists, and neurologists have not been able to explain or agree on yet. 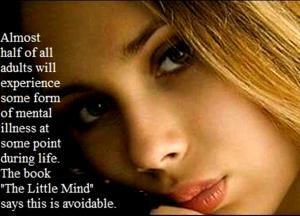 It is more than the subconscious and controls hormones, immunity, autonomic responses, and countless urges and desires. I contend there is also an interaction occurring with the quantum worlds and particle physics. That is why ordinary humans have been able to do the most extraordinary things," Davis added. Tapping into its ability can bring improvements in a person's life and surroundings. "It can actually bring big changes in relationships, health, success, body appearance, weight, virility, and vitality as well. It can give us a new outlook and youthfulness. Optimism and confidence can be regained by just about anyone. Readers usually begin sleeping better and having phenomenal dreams within a week or two. These dreams are far more exciting than drug effects. Some notice a new ability to clearly see and mark out a better future with new goals," said Davis. Last year there were reports of disturbing anomalies, such as spontaneous fires and levitation without any warning or apparent cause, but Davis says the new edition has refined techniques that increase control. “The Little Mind likes to show-off and perform once lines of communication are open, and some are frightened by this at first. This is a part of the brain that is child-like in personality and like a child it has to be taught and trained. The sabotage, anger, and bad luck that many experience daily is often because of this unruly child-mind being mischievous or resentful. However, this child within can become happy, productive, inventive, and supportive,” said Davis. The book also contains a striking new "brief history of time" from the Big Bang to the present. It explains how this part of the brain developed, and there is a never-before delivered account of the first civilizations appearing in the Fertile Crescent. This period illustrates how our brain duality separated groups. Davis not only received extensive education about this history as a child, but attended schools with unique knowledge. He attained formal degrees from the University of California, Berkeley, and the University of Hawaii, Manoa, where he focused on early human evolution. He developed and tested a successful food regimen and behavioral protocol for better health, based on his studies. "As successful as the food regimen was and is, the problem of duality hindered some. Things always seemed to get in the way and make them set aside really important goals. I wanted to know why," explained Davis. In graduate school working with hundreds of subjects, Davis began to explore the psychological mechanisms and brain neurology causing human duality, and why many goals can be so out-of-sync with actions and behaviors. “I learned how we can combine the power of both minds,” said Davis. "Humans are generally unaware that they have two distinct brains with different sets of goals and behaviors, often competing. 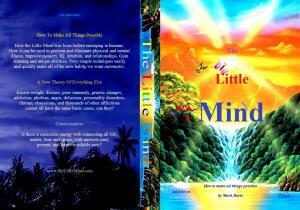 The Little Mind may also become antagonistic and cause one’s health to decline. It can easily provoke accidents, making us look left when we should look right. The most difficult problems in culture persist because no one has understood how to communicate and change this part of the human brain," said Davis. New Approach to Drug Addiction and Depression. Help kids, teens and adults lose all interest in drugs.